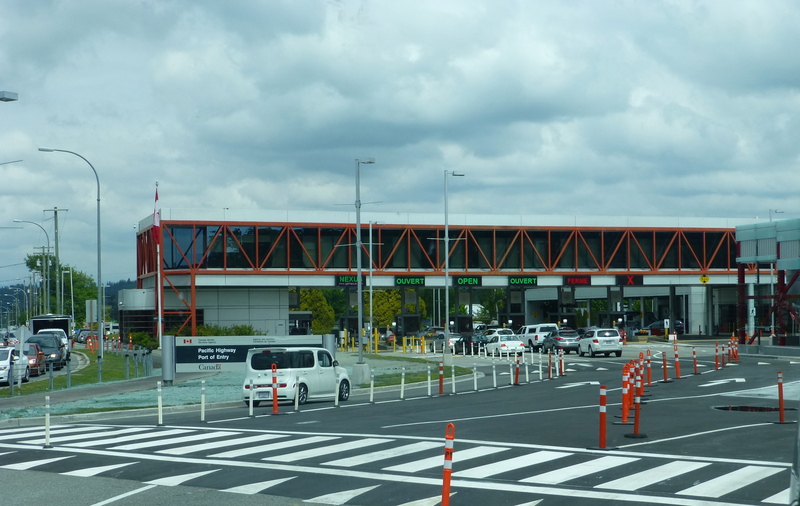 Having crossed the border into Canada and endured the now familiar refrain… rain,rain go away… its time to get out, dry or wet and check out Vancouver. 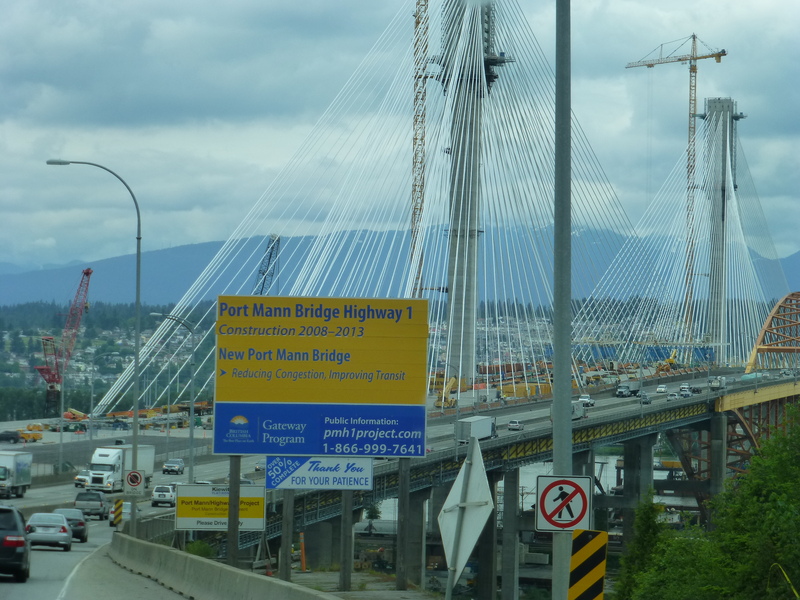 However before that let me tell you about the Port Mann/Highway 1 Improvement Project which we had to traverse to get to our destination. This is a 22 mile long massive project of building a new bridge; widening the highway and upgrading interchanges. Driving thru unfamiliar highways was stressful enough, then adding the construction zone was like a maze so we stopped listening to “Randy” our GPS. Couple this with learning the metric system, now you are reading kilometers instead of miles. 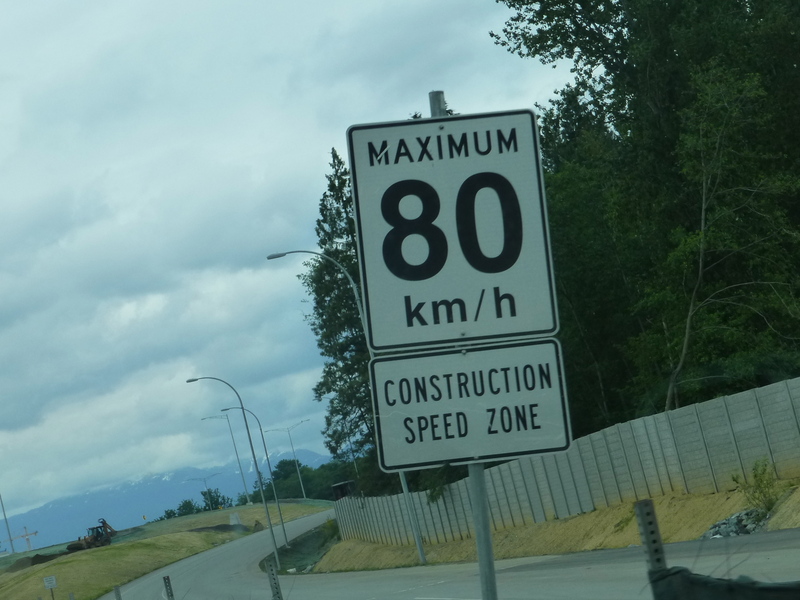 Wow, our brains was in a tizzy getting used to seeing 80 km/hr to mean 49 m/hr. Wow, I’m doing 80 in the RV! Sightseeing in Vancouver cannot be done in one day yet we tried to cover as much ground as we could. 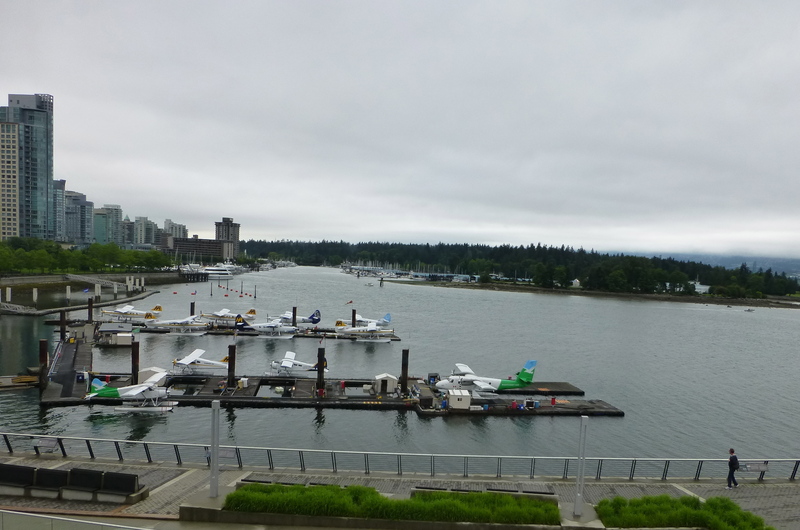 Vancouver is quite scenic, vibrant with lots of things to do/see and lots of outdoor activities. 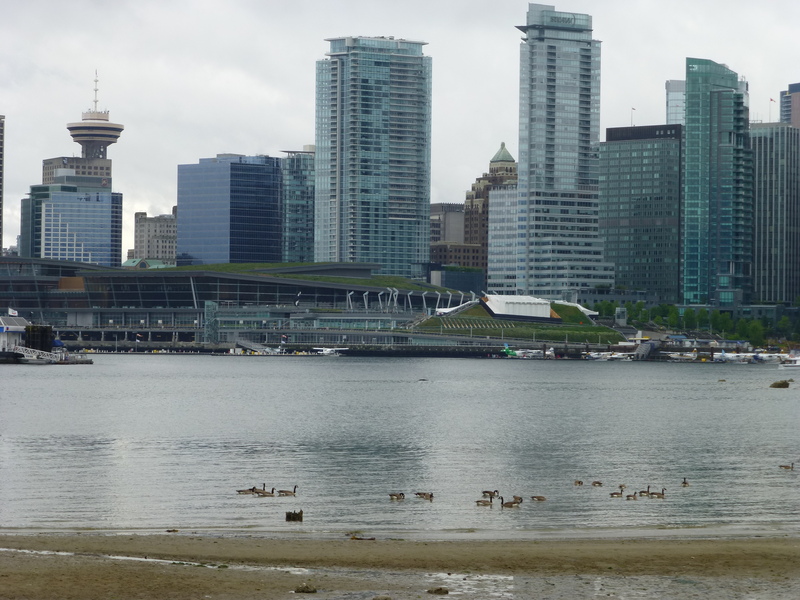 We noticed that there was no highway that leads directly to Vancouver and that there is relatively high use of transit and cycling, and is very pedestrian friendly. It is only here where we saw a blinking green light, which is to alert drivers of crossing pedestrians. Weird but it seems to work. 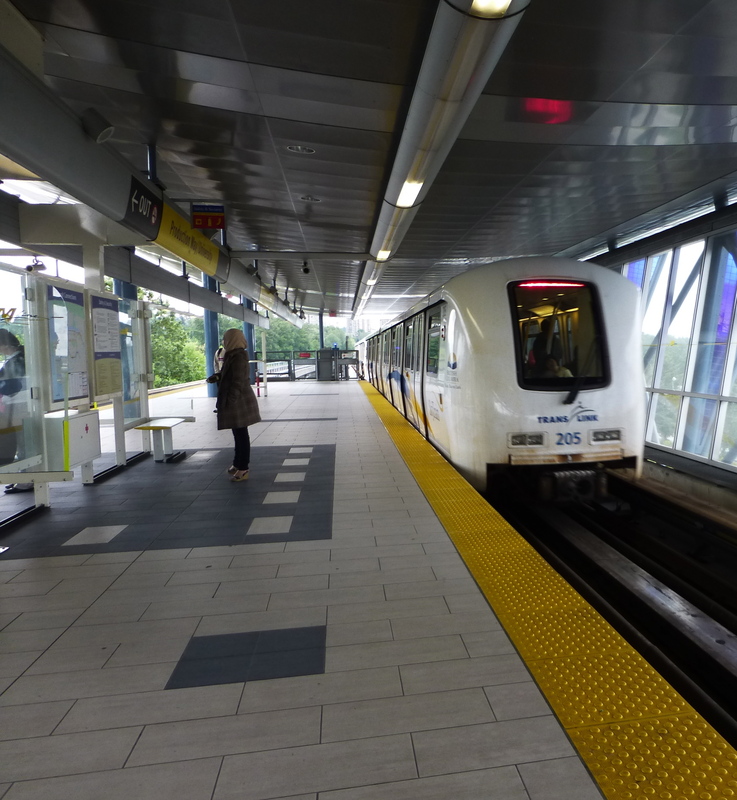 Getting around Vancouver and its nearby suburbs is easy with their efficient and integrated public transportation. They have a similar transit as the BART system in the Bay Area, called SkyTrain, and the difference is that buying a ticket is by honor system. After purchased there is no turnstile to validate it, you just hop on to the train. A system such as that in a big city like Vancouver is quite impressive. Also, it’s all computerized – no drivers on the trains and trains come along about every 3-4 minutes. As for the rain – the guide said it rains about 300 days per year here, so our hope of “drying out” is probably a ways off. 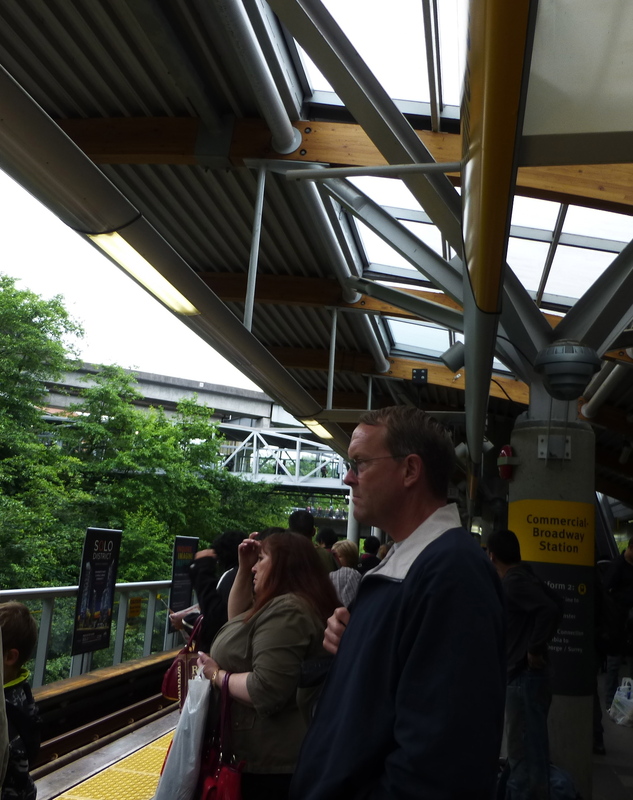 Waiting for the Skytrain, but not very long! 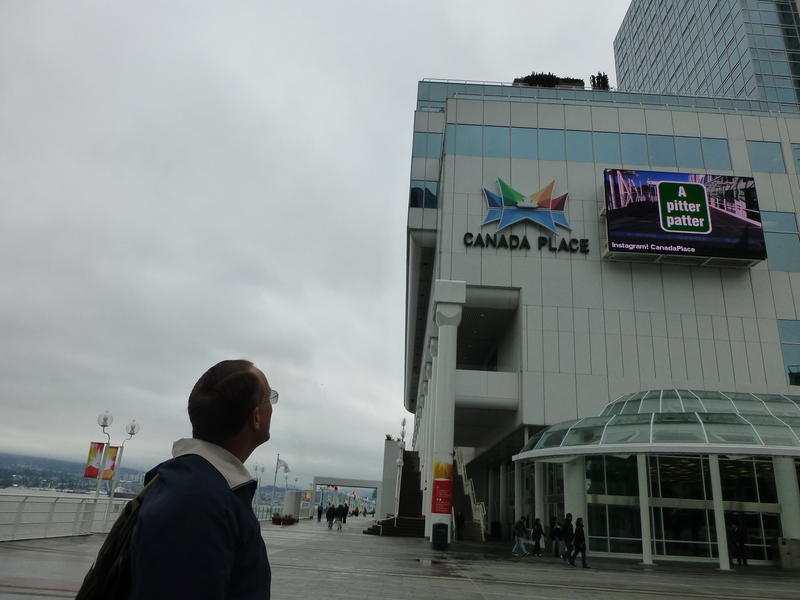 Our sightseeing began at a the Canadian national icon, Canada Place which is the hub of activity for locals and guest. 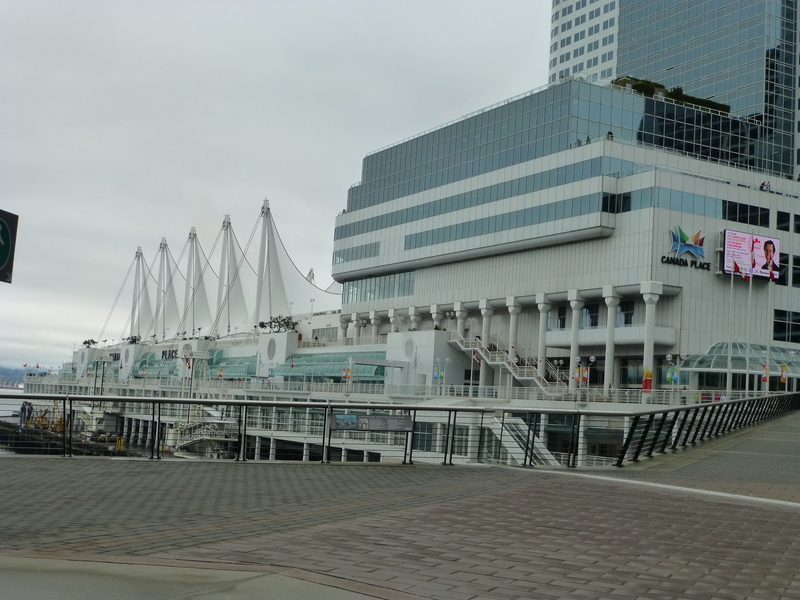 It is a building housing the Vancouver Convention Center, Pan Pacific Hotel and the Vancouver World Trade Center and gracing Vancouver’s skyline with its distinctive five sails. 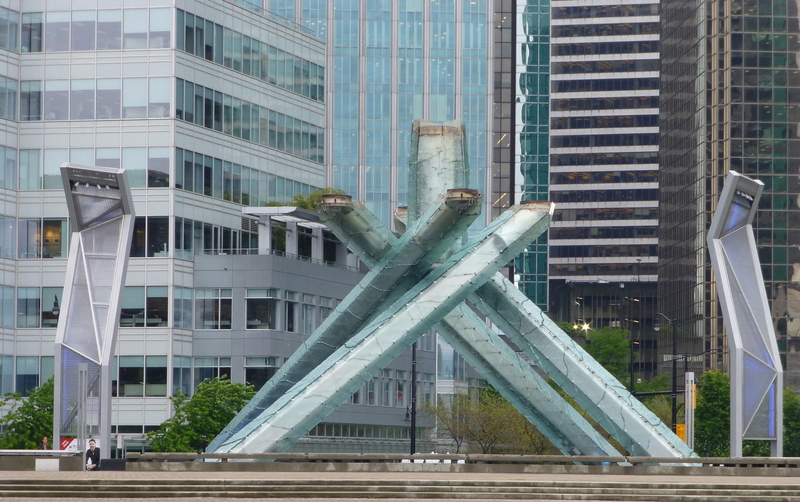 We strolled along their beautiful pier or canadian promenade, the Canada Trail, watching seaplanes take off and land at the Harbour Air Seaplanes, and we saw the 2010 Olympic Cauldron. 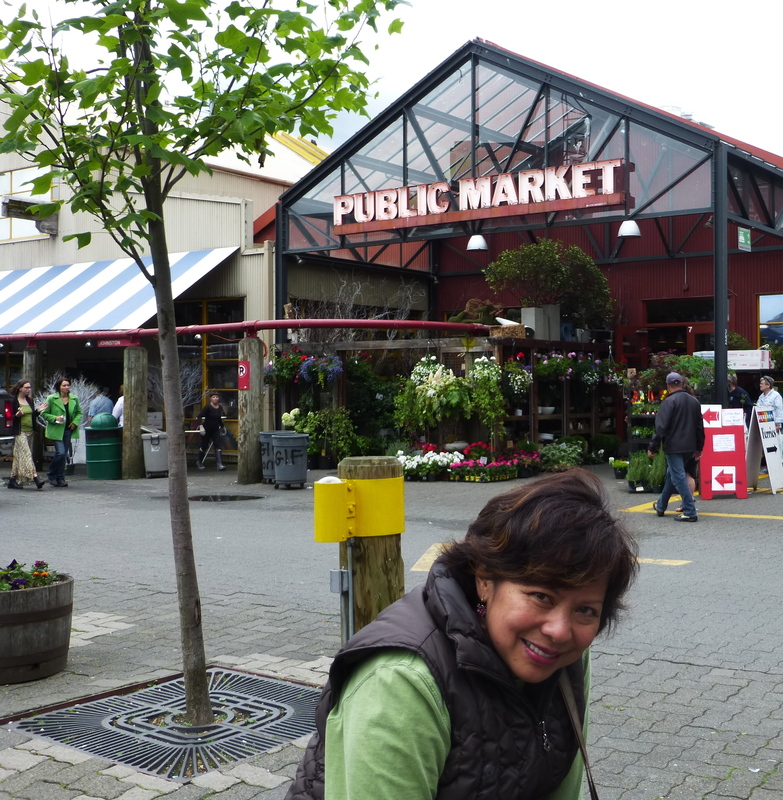 We drove along the three-block shopping street (Robson), the trendy West Side, and Gastown where the good eats and drinks are. 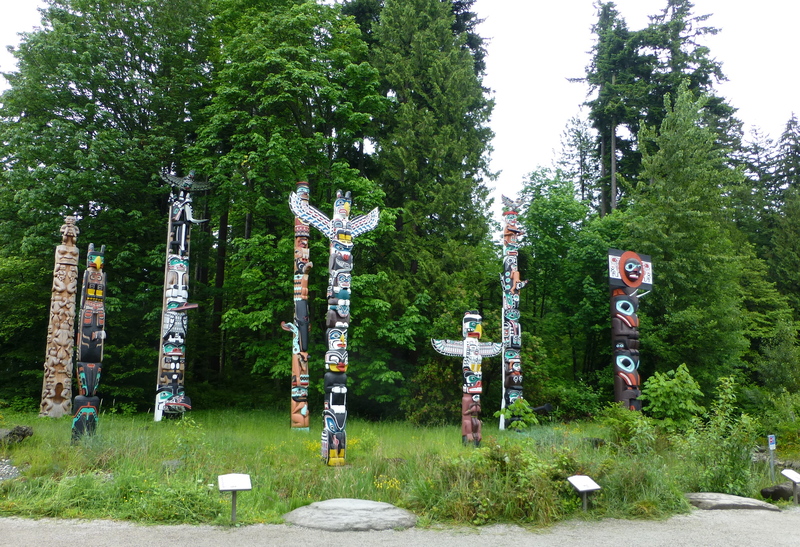 Stopped by the Totem poles at Stanley park an evergreen oasis of 400 hectares (1,000 acres) close to the downtown core. This is the largest park in North America! And most importantly the SeaWall a 13.7 mile walking, jogging, cycling and inline skating path that lines Vancouver’s waterfront. I would like to go back here and ride our bikes. 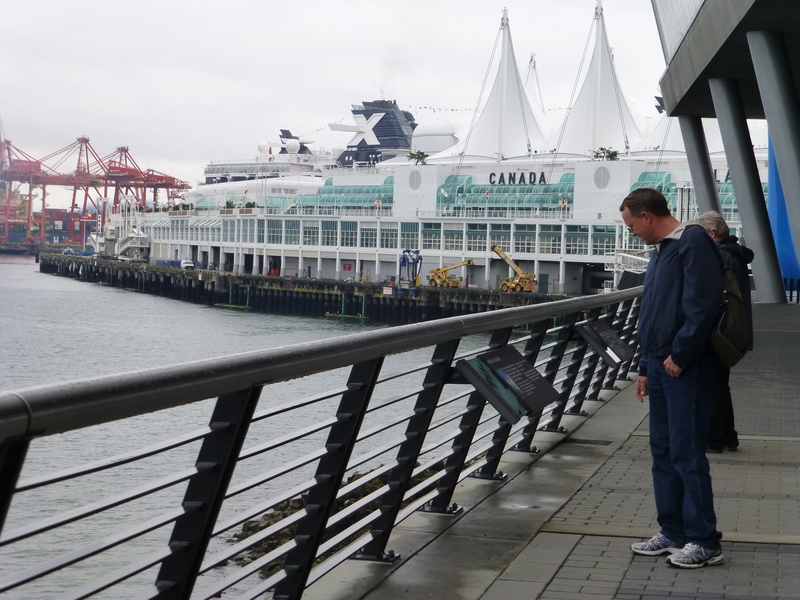 We need another day to see the rest of Vancouver. It is a destination city but we won’t live here due to the 300 days of rain and it is quite pricey! 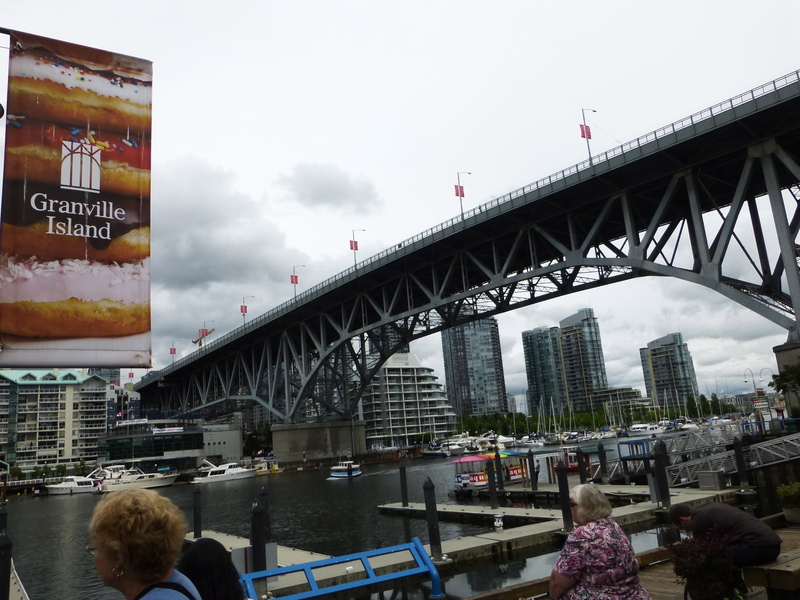 Our last stop was the “island” under the Granville Street bridge where again we were in heaven seeing their public market. The Public Market is the jewel in the Island’s crown. This is the other cousin of Pikes Place Market in Seattle where you will see a fascinating assortment of colourful stalls showcasing unique homemade products and the very finest in gastronomic delights. 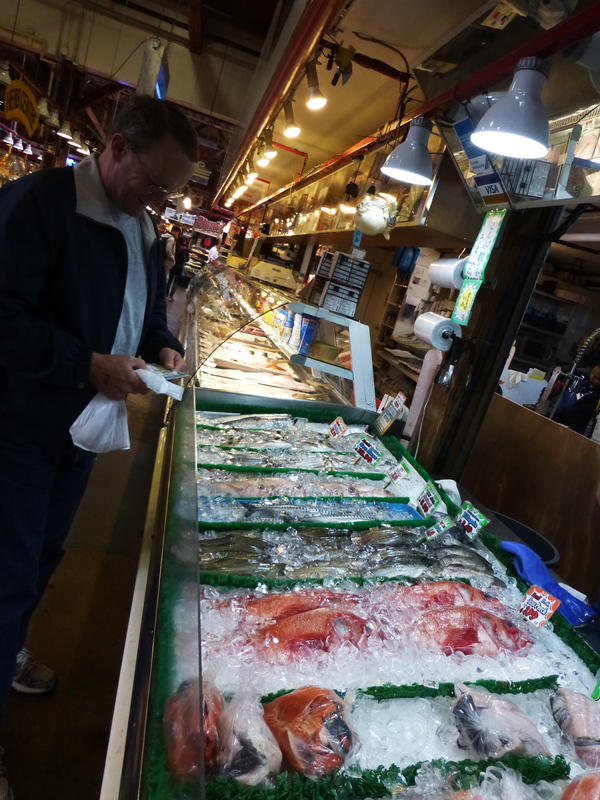 All fresh from the ocean, we bought Marlin and my Salmon fish head….ha ha only i will enjoy this one. 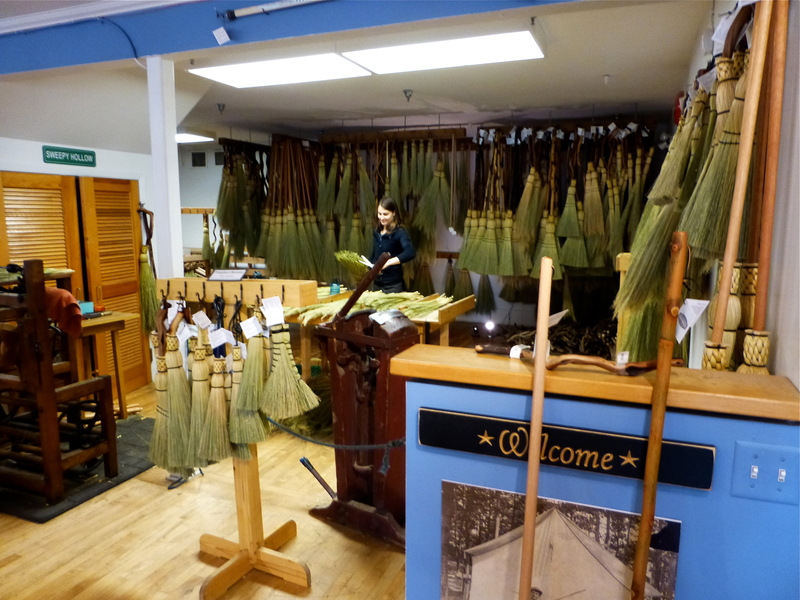 The first broom store ever that i have seen. 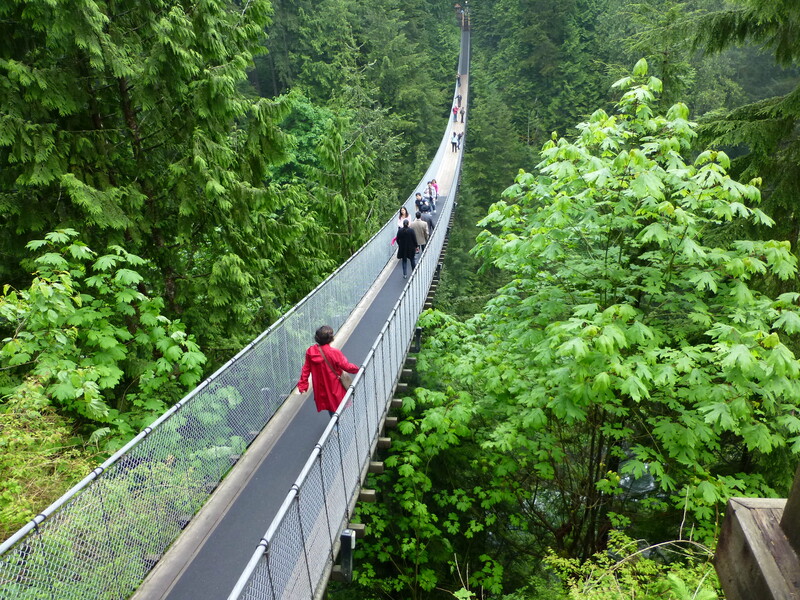 Then off we go to North Vancouver to experience British Columbia’s top attraction, walking on the Capilano suspension bridge. 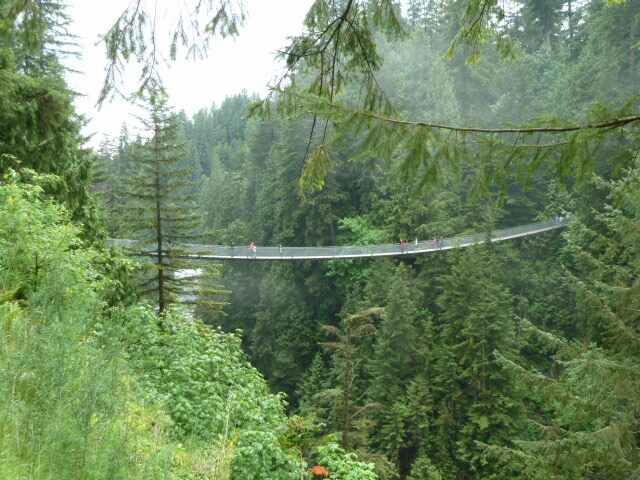 The bridge stretches 450 feet (137m) across and 230 feet (70m) above Capilano River. 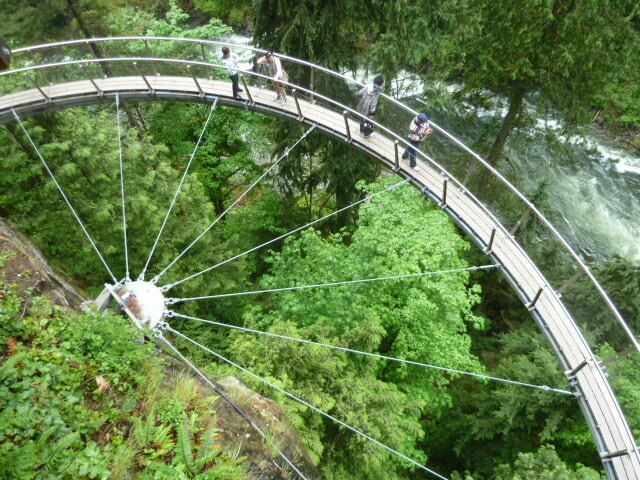 As I stepped on it and walked on the bridge it swayed and shook, but it was nothing but fun! 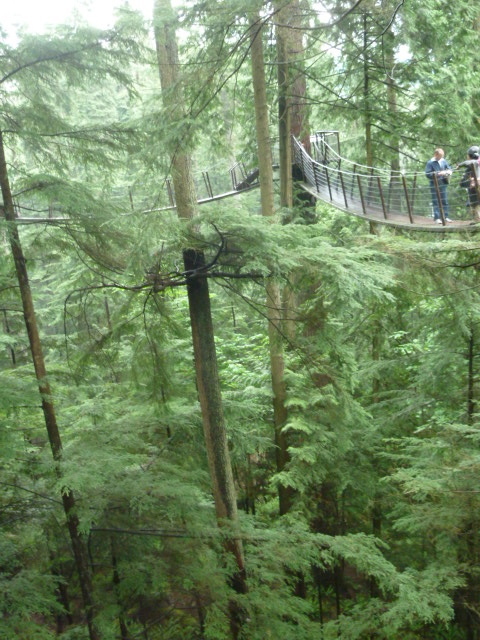 Then we walked the Treetop Adventure where you have a rainforest encounter and lastly walked on their new attraction the Cliffwalk. 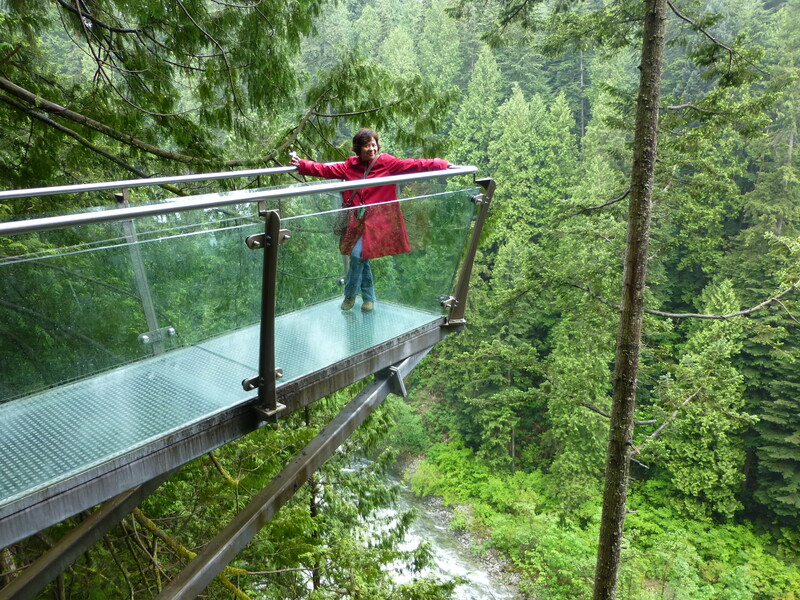 It is a suspended walkways jutting out from the granite cliff face above Capilano River . It is high and narrow and, in some sections, glass (very strong glass) is all that separates us from the canyon far below. It’s 700′ long (213 metres), 300′ high (91 metros). We enjoyed our walks and adventure but not the price of the food. This town is really expensive!